Here's a delicious way to dress up the breakfast table. 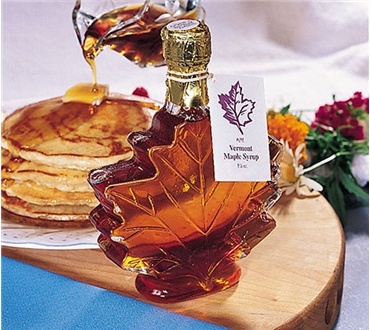 Our glass container is authentically sculptured in the distinctive shape of the leaf from a Sugar Maple tree. They've quickly become one of our most popular items for personal use or gift giving. They're easy to open, easy to pour and look great on your breakfast table or in a gift box. Note: Glass leaf containers are only available in our most popular Grade A Medium Amber.